1) Take a close look at your financial situation: money in, money out, necessities, where you could save money, who you owe money to etc. Our budget calculator may help you with that. 2) Look at all the options available to you and read about them. 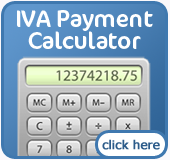 IVA.net not only discusses IVAs but will also show you many other ways of managing your debts such as informal arrangements, debt consolidation loans, administration, and bankruptcy. There is not one solution for becoming debt free and it is important you understand the ramifications of the debt solution that you ultimately choose. 3) With a good knowledge of the options available to you and an understanding of what they mean it is time to speak to a debt counselor. 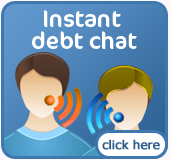 A debt counselor can discuss the options available to you and explain them in more detail. They can then help you to commence proceedings for the option you both agree on. 4) Finally, it is important that before you enter any agreement, whether an IVA or not, that you understand the effect this will have on your life and that you are willing to live through it. You may have to downgrade your car, stop nonessential payments, and explain your finances to a practitioner and so on. It is very important that you realise this prior to proceeding and come to terms with it, as it will greatly affect your future financial success.